In a previous blog, I have discussed the limitations of MRI’s in identifying the source of a given patient’s pain. A clinical evaluation today illustrates this point. 35y/o athletic patient presented with a 4 year history of lower back pain, constant in duration, 6/10 in severity, progressive in nature, localized in left lower back and buttock area without any radiations into his leg. Pain which was aching in character was aggravated by prolonged sitting, standing and twisting. Treatment to date had included massage, chiropractic care, physical therapy, trial of anti-inflammatory agents, narcotics and a surgical evaluation. Physical examination was significant for tenderness in the left lower spine and buttocks with no neurologic abnormalities. 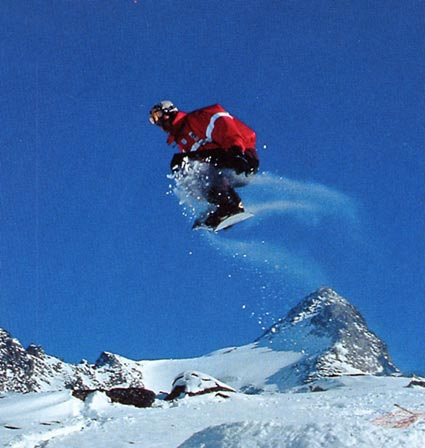 Direct pressure applied to the mid-buttock was painful. 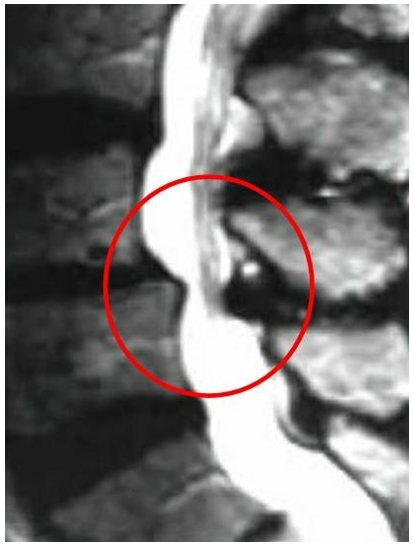 MRI of the lumbar spine was significant for advanced degeneration of the L5/S1 disc and bone swelling. The patient was convinced that his pain was arising from the degenerative lumbar disc. Family members, his primary care physician and surgeon endorsed this view. 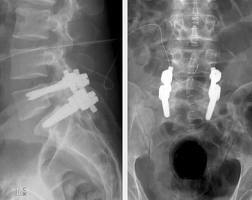 The surgeon had recommended lumbar fusion to relieve his pain. Low back pain can arise from many structures including muscle, ligament, facet, disc and sacro-illac joint (SI). Evaluation to determine the source of the pain had not been performed. At the Centeno-Schultz Clinic this is achieved by injecting a small volume of local anesthetic under x-ray into a specific targeted tissue. If the pain is significantly relieved from the injection, the pain generator has been identified and an appropriate treatment plan can be created. Often without such diagnostic evaluations, the source of a given patient’s pain cannot be established and therefore the patient is at risk for incorrect diagnosis and therapy. 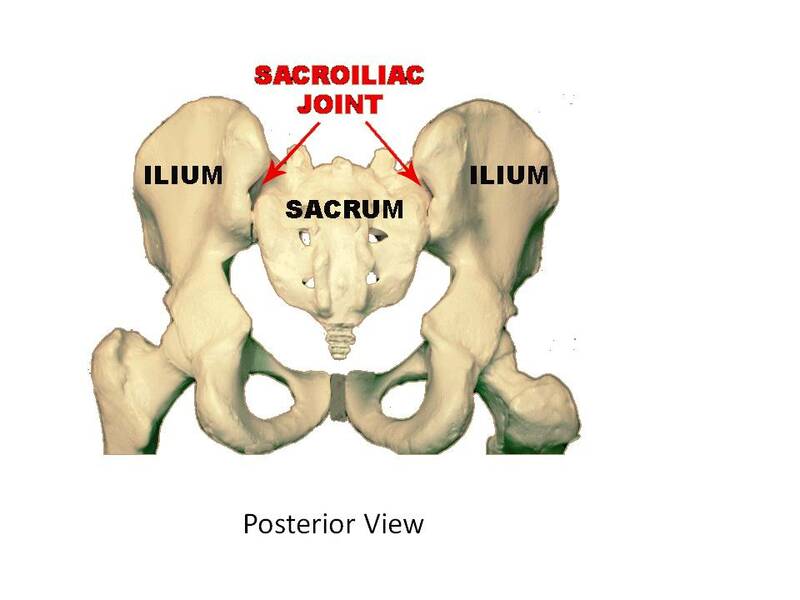 The sacrolilac joint is the joint between the sacrum, the base of the spine, and the ilium of the pelvis. It can be a common source of pain in patients who have had lumbar fusions and traumatic injuries. Diagnosis is made by injection of a small amount of local anesthetic into the joint. Insertion of a needle into the SI Joint can be challenging. Confirmation of accurate placement is achieved through the injection of contrast which fills the joint. This is illustrated below with yellow dashed circle. Prolotherapy at the Centeno-Schultz Clinic involves injecting into joint as well as the surrounding ligaments. A very important ligament for the succesful treatment of the SI joint pain is the iliolumbar ligament. The ligament is illustrated in blue. It attaches to the L5 transverse process. Maximal results from prolotherapy of the SI joint includes accurate placement of the injectate, as confirmed by contrast, as well as treatment of all ligaments. This is the standard of care at the Centneo-Schultz Clinic.